Available: Guitarist, Pianist, Rapper, Singer, Songwriter, Producer in Milwaukee, Wisconsin, United States. Posted 3 months ago by ProbablyChrisKrahn, 167 views. Available: Rapper, Singer, Songwriter, Vocalist - Backing in Milwaukee, Wisconsin, United States. Posted 6 months ago by IssaRose, 229 views. 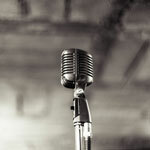 Wanted: Rapper, Singer, Songwriter, Producer, Vocalist - Backing, Vocalist - Choral in Milwaukee, Wisconsin, United States. Posted 8 months ago by Faith, 261 views. Available: Guitarist - Acoustic, Rapper, Singer, Songwriter, Vocalist - Backing, Vocalist - Choral in Milwaukee, Wisconsin, United States. Posted 8 months ago by Faith, 201 views. Available: Bass Player, Drummer, Guitarist - Lead, Guitarist - Rythm, Songwriter, Producer in Milwaukee, Wisconsin, United States. Posted 8 months ago by Noelle_Rose, 314 views. Free Musician wanted and available ads in Milwaukee and surrounding areas. Find a Musician today or a band to play in. An overview of all Milwaukee musician classifieds on Join-A-Band.com.